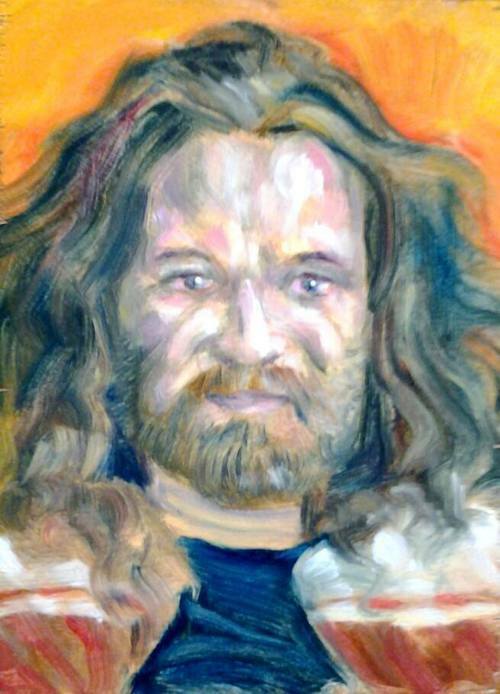 Artist , sculpter, musician Bill Rugg is known to paint in a variety of mediums,mostly acrylic and oil and covers a wide range of content from anatomy,landscape, portraits, abstract mindscapes, political and even taboo! Widely considered as a folk artist , Bill spends the cold winters in his Portland Oregon studio painting and creating sculptures which he then paints in mostly neon to achieve a light fast effect of movement that can be seen in the majority of his works! Born in Denver Colorado in 1979, Bill now lives in the state of Washington where he is a fulltime artist ...Expand text. Artist , sculpter, musician Bill Rugg is known to paint in a variety of mediums,mostly acrylic and oil and covers a wide range of content from anatomy,landscape, portraits, abstract mindscapes, political and even taboo! Widely considered as a folk artist , Bill spends the cold winters in his Portland Oregon studio painting and creating sculptures which he then paints in mostly neon to achieve a light fast effect of movement that can be seen in the majority of his works! Born in Denver Colorado in 1979, Bill now lives in the state of Washington where he is a fulltime artist and Gallery owner ! His work is featured in various business and private settings as well as commercial, tv,album covers, ect. Close text. Updated Dec 16, 2018 11:36 am. Last Logged In Dec 16, 2018 11:32 am. This Account Created Dec 18, 2016 10:13 am.